Back in March, BMW Romania held a new BMW xDrive event. An annual event, the xDrive Live Tour returns in 2011 with a new vehicle added to the X-lineup: the new BMW X3. 24 BMWs equipped with the xDrive system (BMW 320d xDrive, BMW 535d xDrive Gran Turismo, BMW 740d xDrive, BMW X1 xDrive 20d, BMW X3 xDrive 35i, BMW X3 xDrive 20d, BMW X6 xDrive 30d) were made available to journalists and other attendees. The event included three different segments: Dynamics, Agility and Traction. The day started with an xDrive classroom where BMW specialists and local racing driver, Claudiu David, explained to the audience the benefits of the xDrive system and how the traction is being distributed under different driving conditions. 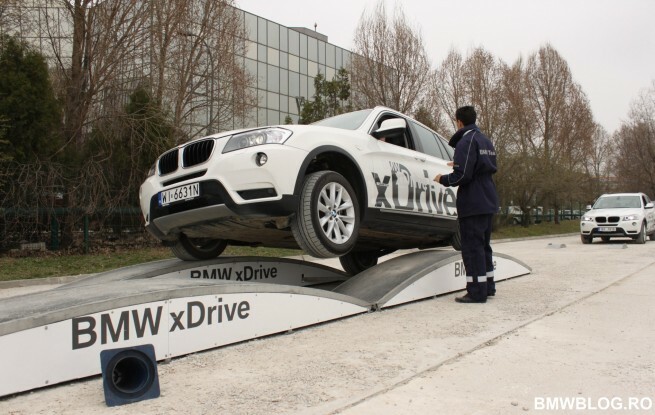 To experience the full benefits of BMW’s xDrive system, the 50 participants moved onto the “playground” where BMW staff assisted them through the different exercises. Let’s have a look at the extensive gallery and videos, and we’re looking forward to a similar event in the United States.